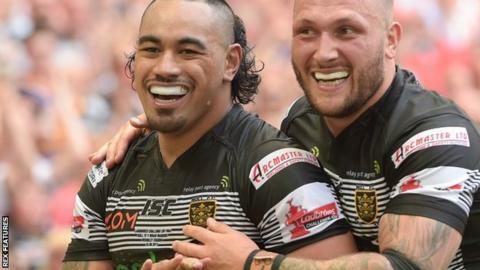 Challenge Cup holders Hull FC's match away against St Helens is one of two quarter-finals to be shown live on BBC television next month. The game is the last of the four last-eight ties and will be screened on Sunday, 3 June, with Warrington v Wigan also live on Saturday, 2 June. Huddersfield Giants face Catalans Dragons on Thursday night, with Leeds Rhinos v Leigh Centurions on Friday. All four ties will be covered with live text commentary on the BBC website. Commentaries of the games will also be available on BBC radio and online.